The Sony Xperia Projector — still an experimental “Concept” for the moment — shows how a smart projection system could serve as a hub for your family’s digital lives. In additional to products like the Xperia X series and Xperia Ear smart earpiece, Sony’s Mobile World Congress presence was big on “Concepts” — work-in-progress experimental gadgets intended to show the firm’s future direction. One such device is the Xperia Projector Concept, a connected sensor-plus-projector system designed to serve as a digital hub for your home. In its current (and very much unfinished) state, the Xperia Projector is a small box capable of projecting images onto a surface directly adjacent to it, and sensing touches on that surface. In essence, it can turn a table or wall into a rudimentary touchscreen. The built-in camera, Sony tells us, will be able to detect someone approaching the unit, and even recognize individual people within a home, showing them specific notes or reminders accordingly. The brief demo setup shown at MWC starts with a large clock display with calendar notifications on the right, and notifications like missed calls on the left. A right swipe brings you to a family calendar, complete with photos and notes attached to each date, one of a number of interactive slides in this proof-of-concept. Others include recipe readout, a notepad, through which you can draw on the wall or table with your finger, and a recipe readout. Unlike the Xperia Agent, Sony’s other experimental projector gadget, this device is supposed to serve more as a digital hub than a personalized assistant. It also lacks some of the personality of the Agent, with its cutesy design and cartoon-like movements. But maybe you’re looking for something a bit more neutral in a shared device. Like all Sony’s Concepts, it’s unclear what, if anything, the Xperia Projector Concept will develop into, but the technology at the heart of it has all kinds of interesting possibilities. 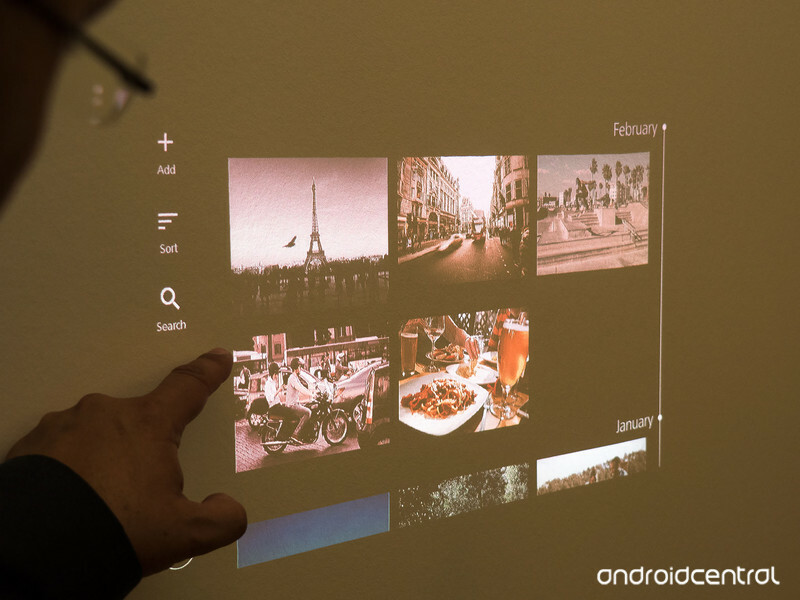 Check out our hands-on video above to see the Xperia Projector in action. Fallout Shelter, the popular mobile game based on the post-apocalyptic franchise, will be getting a major update later this week. The 1.4 update will add a much-requested feature for the sim-based game: crafting. Turn worthless junk into useful items! Introducing… crafting! Lunchboxes now contain a bonus 5th card: Junk! Trust us – it’s more useful than it sounds. Lucky wasteland explorers may also find junk on their adventures. Because four-legged companions bring overwhelming happiness, we’ve added new Dogs and Cats, and are introducing… Parrots! Plus, new Pet bonuses! 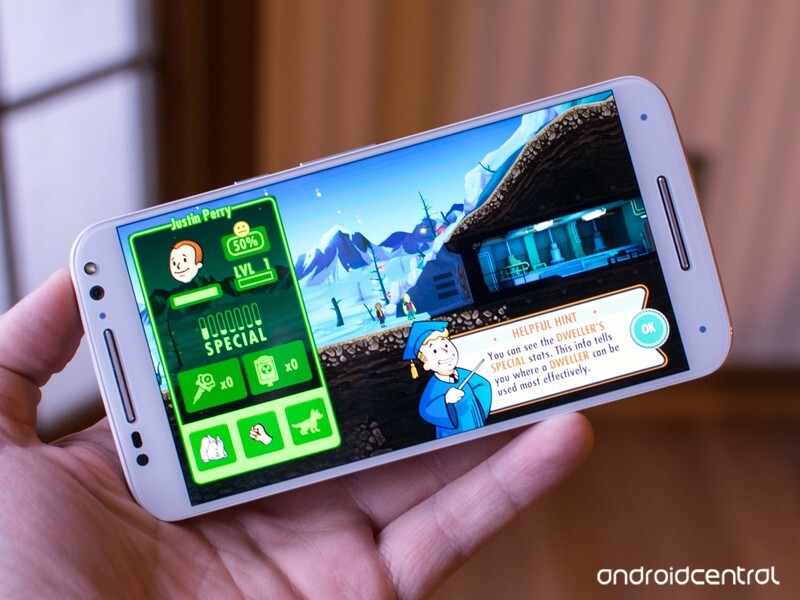 You can download the free-to-play Fallout Shelter right now in the Google Play Store. Motorola is hosting a deal on its Moto G 2015, scoring you two 16GB variants of the phone for just $399. 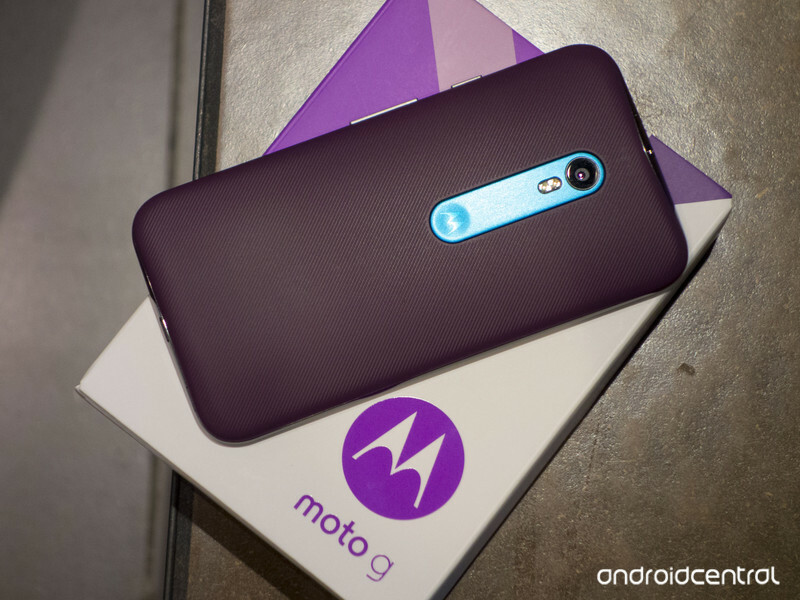 That’s right, you can score two customized Moto Gs for one low price, which saves you $40 on the normal price. The Moto G 2015 features a 5-inch display, a 13MP camera, 16GB of internal memory and a microSD card slot to add more should you need it. If you are in the market for an unlocked phone or two, you should check out this deal before it ends. You can begin customizing your phones to your liking at the link below. U.S. Soccer has unveiled a new logo, and to do so the organization sent out a kit that contained a Google Cardboard viewer along with a brand new scarf. The kits were sent out to media, fans, players and coaches, and it came with specific instructions. First, you had to watch the video in the included VR headset all the way through. At the end of the video there was a combination that could be used to open the lock that held the other half of the box closed. 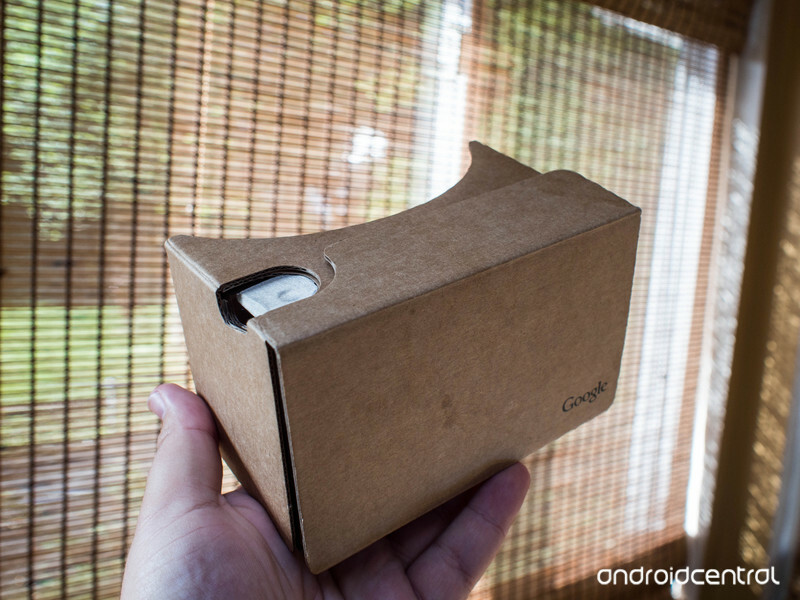 It’s pretty sweet to see groups using Google Cardboard for unique purposes. 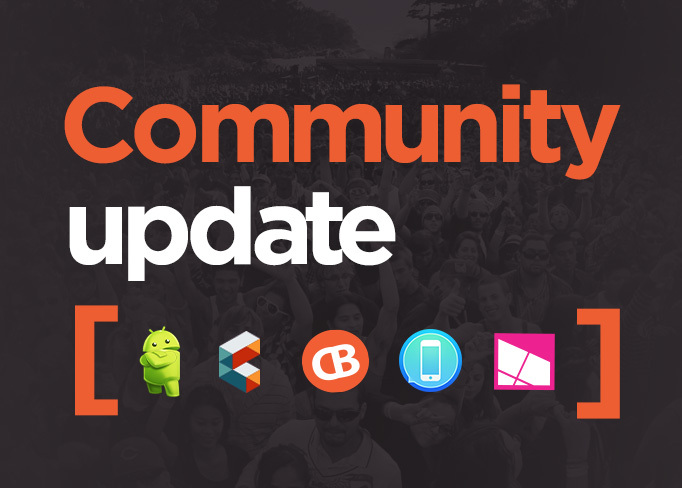 As February draws to a close, it’s time again for the Mobile Nations Community Update. Below we’re going to take a look at some of the best stuff happening around Android Central, Connectedly, CrackBerry, iMore, and Windows Central. Today isn’t just the day that you get a brand, spankin’ new Public Access Weekly — it’s also Johnny Cash’s birthday so put on something black, press play on the YouTube video below and get updated on everything that’s going down at Public Access. Public Access posts are not indexed, which means they will not show up as results in Google search. Why, you ask? It’s something we had to do a while back, due to a post going up with blatant falsehoods printed in it which really isn’t cool at all. It turns out what your mom told you was true: One bad apple really does spoil the bunch for everyone. It’s possible that at some point we’ll be able to index Public Access posts again, but in the meantime, a direct URL is the best way to share the stories you post here. If you ever find yourself wondering how well your story is doing on Public Access, then take a moment and navigate down the Public Access home page to the Top 5 box. It displays the five most viewed stories of the previous week and gets updated every Friday, so if you see your story there, kudos! Your post is doing really well! The Death of the Smart Home: Public Access member Robert Blake examines the failings of today’s smart home through the lens of a Ray Bradbury short story. Nicole Lee tried out Eero’s smart home WiFi solution, and liked it. The commenters on this story disagreed with her, and some are posting some very thoughtful responses. IBM’s Watson technology will be used in an upcoming VR game of popular anime Sword Art Online; a Tokyo-based event next month should provide additional details. The Internet Ruined My Life is a show that will premiere on SyFy next month to tell the stories of people who have been harassed, followed, doxxed, swatted, fired or worse due to a social media post gone awry. While the format of the show seems to be overly salacious, with dramatic reenactments, there has been an increasing attention to the darker side of social media. Have you ever had a negative outcome due to a social media post? (And if so, how did you resolve it?) Do you feel that these people should stop complaining and just watch what they post? And is it weird to anyone else to watch a TV show about internet activity? If you’ve ever watched a horror movie and thought “Well, just don’t go down into the catacombs if you don’t want to be terrorized and eaten by mutants,” then you know how I feel about the Fusion.net reporter who recently challenged two hackers to ruin his life. During the penetration testing experiment (phrasing! ), hackers were able to access everything from the reporter’s webcam to his Amex account. Would you ever permit someone to perform such a text on your own accounts? What security measures do you take to make yourself less attractive to hacking? And can you ever really protect your online life from being hacked? Internet outages — What the hell do you do with yourself when the internet goes out? Read a book? Drunken Jenga? Cry until it comes back on? We’re just curious. Apple iPad Air 3 vs iPad Pro: What’s the difference? Apple is due to launch its next-generation of 9.7-inch iPad at an event in March. Both 15 March and 21 March have been suggested as the date to put in the diary and the new tablet is expected alongside a new 4-inch iPhone and new smartwatch. The iPad Air range has not been updated for a while but it has been claimed the next 9.7-inch iPad will fall within the Pro range rather than the Air range. As this has yet to be confirmed however, for the sake of this feature we will be calling it the iPad Air 3. How might the iPad Air 3 compare to the iPad Pro? We have put the 12.9-inch tablet against the rumoured specs for the new 9.7-inch device to see what the differences are, what features they might share and whether the iPad Air 3 will sit better within the Pro range based on the speculation. The Apple iPad Pro measures 305.7 x 220.6 x 6.9mm and weighs 713g for the Wi-Fi only model or 723g for the Wi-Fi and Cellular model. It offers the same aluminium design as the iPad Air 2 with the Lightning connector centralised at the bottom and Touch ID built into the home button on the front. The iPad Pro adds four built-in stereo speakers to the iPad party though, as well as a Smart Connector. It comes in silver, gold and space grey colour options. The Apple iPad Air 3 is rumoured to come in a similar size format as the current iPad Air 2 with its measurements claimed to be 240 x 169.6 x 6.15mm. This is of course significantly smaller than the iPad Pro but it sounds like the design will be similar, just on a smaller scale. Speculation suggests the iPad Air 3, or smaller iPad Pro will come with the four built-in speakers like the Pro, as well as the Smart Connector. You can bet Touch ID will be on board and chances are the same gold, silver and space grey colours will be available too whether it is called Air or Pro. The Apple iPad Pro is the largest iPad available in the company’s line up, with a 12.9-inch display. The LED-backlit Retina display has a 2732 x 2048 resolution for a pixel density of 264ppi. The iPad Pro’s display can measure pressure, allowing it to work with the Apple Pencil. It is thought the Apple iPad Air 3 will offer the same technology, enabling users to draw and design as they would on the iPad Pro but on a smaller, more portable device. Rumours claim the iPad Air 3 will offer the same size display as the iPad Air 2, sticking at 9.7-inches. This of course makes it quite a bit smaller than the iPad Pro, meaning if it arrives with the Pro name, it will simply be a mini version of it rather than directly competing or replacing the larger model. The iPad Air 2 has a resolution of 2048 x 1536 which means a pixel density of 264ppi, like the iPad Pro. It has been suggested the iPad Air 3 will up its resolution to 3112 x 2334 however, meaning a sharper and crisper pixel density than the iPad Pro of 401ppi. The Apple iPad Pro has an 8-megapixel iSight camera with an f/2.4 aperture, coupled with a 1.2-megapixel front camera with an f/2.2 aperture. The rear camera is capable of 1080p video recording, while the front-facing camera will manage 720p. The Apple iPad Air 3 is rumoured to be coming with a rear LED flash, which would make it the first iPad to offer this feature. This of course could mean a bump in megapixels too but if not then expect an 8-megapixel rear snapper and 1.2-megapixel front camera like the iPad Air 2 and iPad Pro. The Apple iPad Pro comes with the A9X processor and M9 motion co-processor. It also sports 4GB of RAM and a 38.5 watt battery. The Wi-Fi only model comes in 32GB and 128GB options, while the Wi-Fi and Cellular model is only available with 128GB of internal storage. The Apple iPad Air 3 is rumoured to be coming with either the same A9X chip as the iPad Pro, or a new chip, which will presumably be called the A10. Both 3GB and 4GB of RAM have been thrown about in speculation but storage and battery details have yet to be discussed in the claims. Given the size difference however, you can expect a smaller battery capacity to the iPad Pro. We’d also expect to see a 128GB model and a 64GB option, but whether Apple will introduce a 32GB version or 16GB is unclear at the moment. The Apple iPad Pro comes with iOS 9, offering all the features you’d expect including AirDrop, AirPlay, Spotlight Search, Apple Music and Family Sharing among others as standard. It also comes complete with Pages, Numbers and Keynote, offering users the company’s productivity apps. If the Apple iPad Air 3 arrives in March, it too will more than likely come with iOS 9 as iOS 10 isn’t due to be previewed until WWDC in June. Based on the rumours, it sounds as though you can expect the same software experience as the Pro. If the rumours are accurate, we can see why the Apple iPad Air 3 might be named as a smaller iPad Pro instead. It is expected to feature similar design traits to the iPad Pro, even if these are on the same size scale as the Air range. Nothing has been confirmed as yet but with a bit of luck, we will know in a couple of weeks what the next 9.7-inch iPad will bring. For all the rumours and speculation surrounding the smaller iPad Pro, or iPad Air 3, you can read our rumour round up. We have also done a separate feature on how the iPad Air 3 compares to the iPad Air 2, based on the rumours. We will update this feature regularly as more leaks appear so keep checking back. The Artful Escape of Francis Vendetti is a psychedelic hipster dream disguised as a narrative-driven adventure game. It stars Francis Vendetti, the fictional nephew of the late, great musical icon Johnson Vendetti. In this alternate universe, Johnson was the David Bowie of his time, legendary and untouchable. Francis is a young musician himself, struggling to find his own voice and separate himself from his uncle’s legacy. On his quest of self-discovery, Francis connects with a laser artist named Violetta, and he traverses a multidimensional highway packed with neon lights and tentacled aliens. The Artful Escape presents the kind of world that burgeoning musicians might fantasize about, the ultimate rock star dream of conquering new, exciting dimensions with the power of music alone. It’s the kind of dream that the game’s creator, Johnny Galvatron, once had — before he signed a record deal with Warner Bros. right out of college and discovered what the true rock star life was really all about. Galvatron studied 3-D computer animation and game development in college, but the record deal set him on a different path — he scored commercial hits in Australia with his band, The Galvatrons, and spent years playing around the world with groups like The Police, Kiss and Def Leppard. He’s written a novel, penned gaming reviews and columns, and made a short film that was shortlisted for Tropfest. After years of pursuing other creative endeavors, The Artful Escape is Galvatron’s reintroduction to the world of game design. Galvatron is joined by fellow accomplished musician Josh Abrahams. Abrahams has spent his professional life producing international hits like “Everyone’s Free to Wear Sunscreen,” working closely with Baz Luhrmann on Moulin Rouge!, and collecting a handful of prestigious awards. Both Abrahams and Galvatron bring a theatrical aesthetic to The Artful Escape. When it’s complete, it will be a rich, narrative-driven journey through alien worlds and musical landscapes. The game won’t feature any fighting—only creation, music and discovery (and lasers). Players will be able to mix their own songs, as well, using a sample system much like this one. But first, Galvatron and friends need to finish making it. They’re launching a Kickstarter campaign on March 1st to collect the final funds necessary to make The Artful Escape a reality for PCs and Macs, with gaming consoles a stretch goal. Crowdfunding is a daunting task, but Galvatron is up for it. Square Cash is all well and good if you want to send money to someone right away, but what if you want to set something aside for later, such as paying back a friend? You’re covered after today. Square has updated its Android and iOS apps to introduce the optional Cash Drawer, which holds on to the money you receive in one handy place. In other words, it’s a bit like PayPal and other digital wallets. You can withdraw money whenever you need it, and you’ll soon have the choice of adding money from your own bank account. And don’t worry, this is optional — if you use Square Cash precisely because it’s not a go-between like PayPal, you can carry on as usual.